The word ‘saboteur’, comes from the time of a French industrial revolt, when workers would throw one of their shoes, (a sabot), into the machines of the factory to bring things to a grinding halt. Hence - saboteur. This workshop invites you to explore a new relationship with that part of you which undermines or sabotages your creative expression. You will write and use other mediums of creative play along this powerful journey. The groups are small, and the atmosphere is supportive. Read more about our life stories here. To secure a booking or make further enquiries please email Merilee. Write your life story, (or a particular aspect of your life story), in a small supportive group, with guided processes which stimulate both memory and freedom of expression. Write for yourself, your family, your grandchildren, or get started on that autobiography you don’t know how to begin. 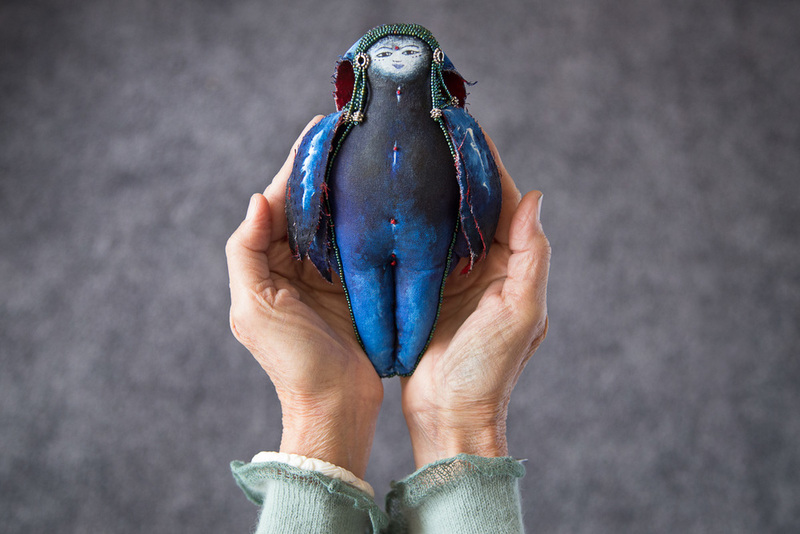 A Wisdom Doll is a representation of the archetype you are currently embodying, or the archetype you want to evoke, the qualities and characteristics you want more of, in yourself and your life. The workshop includes the making of your Doll, and then writing her (his) story and writing a dialogue with your Doll – an intuitive process that can be revelatory. Read more about our wisdom doll workshops here. Please enquire about concessions available.